Join me for a culinary and sightseeing tour of Radovljica and the surroundings. 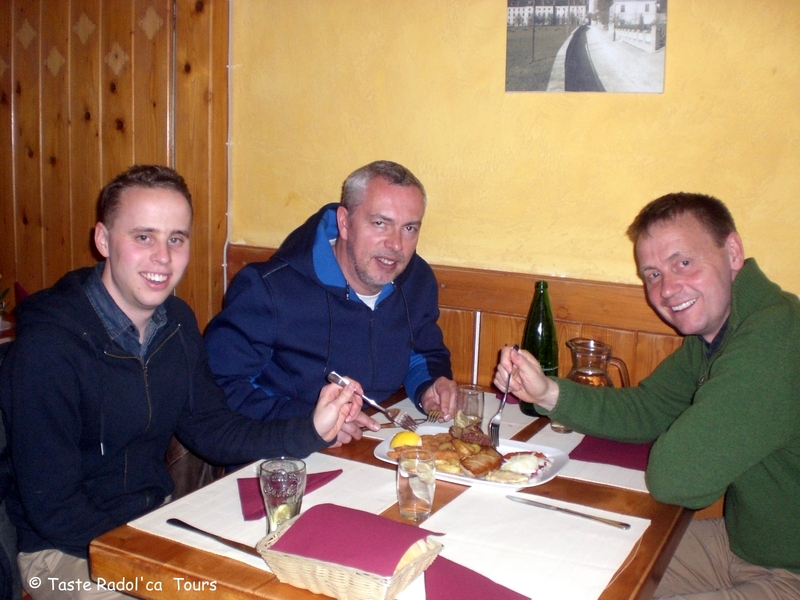 Together with Iva Gruden who runs the hugely popular and successful Ljubljana-based food tour company Ljubljananjam, (http://www.ljubljananjam.si/) we are now able to offer you food tours of Taste Radol’ca restaurants and have put together 4 suggested itineraries. However, all food tours can also be adapted to your individual requirements, so just get in touch using the contact form below and we’ll take it from there. This tour begins at the entrance to Radovljica’s historic old town. 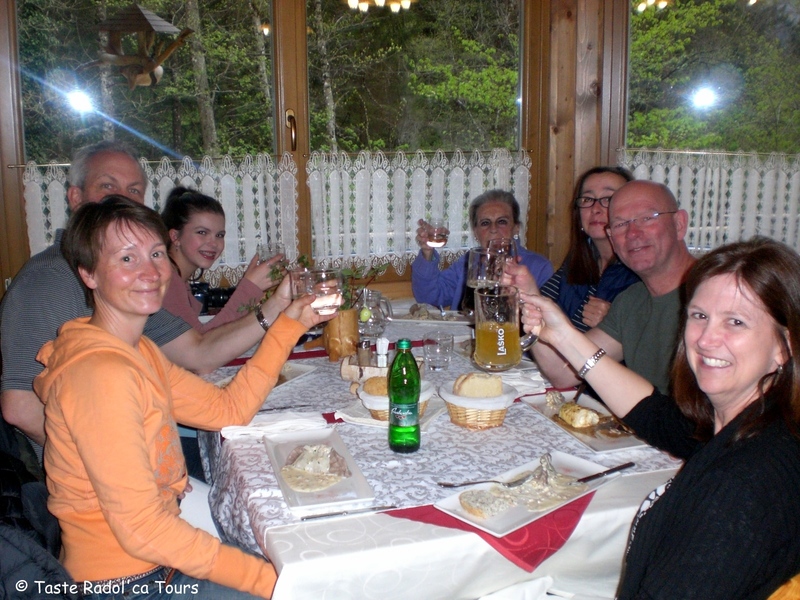 During the tour you will visit 3 Taste Radol’ca restaurants – Gostilna Kunstelj, Gostila Avguštin and Gostilna Lectar – where you will sample traditional local food. A stroll through the old town centre concludes at Gostilna Lectar where you will visit the honeybread workshop and enjoy a selection of the finest house desserts. This tour begins at the entrance to Radovljica’s historic old town with a visit to the Sodček Wine Bar which stocks wine from all of Slovenia’s wine-growing areas. 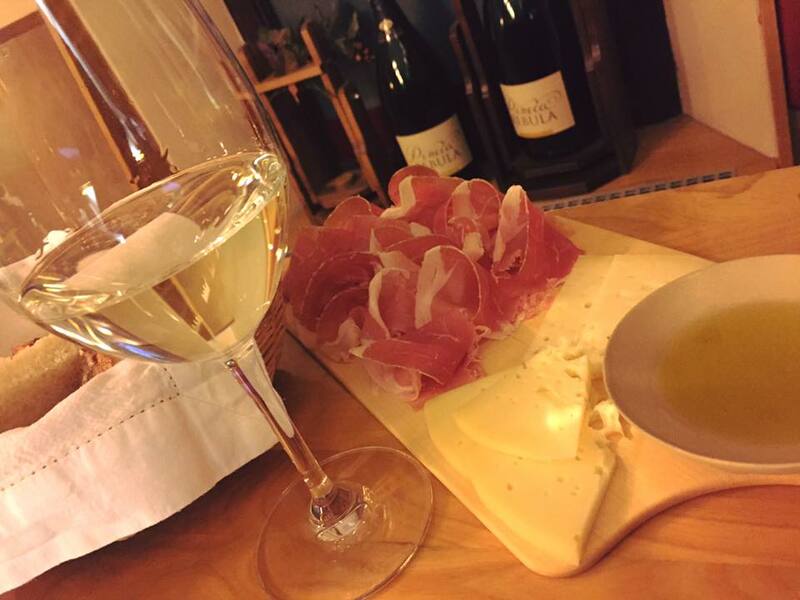 Enjoy a short, guided wine-tasting with cheese and Karst air-dried ham. The tour continues with a visit to Kunstelj Inn’s wine cellar where you can sample wine and taste some local food. Next we take a stroll through the historic old town centre ending at Lectar Inn where you will visit the honey bread workshop and enjoy a selection of the finest house desserts. This tour begins in the village of Begunje na Gorenjskem, known for its music and mountains, and ends at one of Slovenia’s top restaurants. We start with a visit to the tranquil Draga Valley, stopping en-route to see the ruins of the once-mighty Kamen Castle then visit Gostišče Draga. We return to the centre of the village and take a walk on the Begunje Village Trail, which includes a visit to the park with its Jože Plečnik-designed pavilion, and the Museum of Hostages with a cemetery and statues. 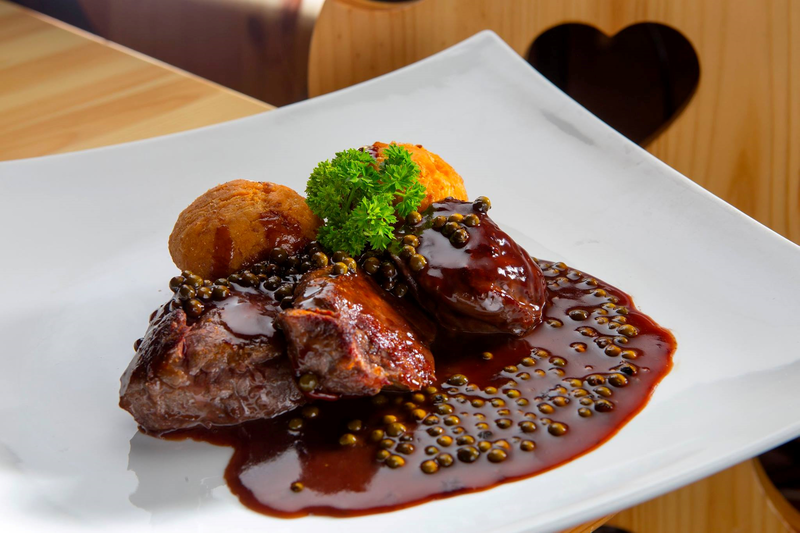 We continue for to the village restaurant Gostilna Pr’Tavčar to try some of their speciality dishes. Optional extras on this tour include a visit to the Avsenik Gostilna and Museum to learn about this legendary family of musicians of Slovenian popular folk music, and/or entrance to the Museum of Hostages (upon prior arrangement). One for the sweet-toothed among you! Radovljica is known for its chocolate and honey and this tour will acquaint you with both! We begin in the old town centre with a visit to Lectar Inn’s honey bread workshop and a honey-based dish. Next you will enjoy a savoury dish incorporating honey at Gostišče Tulipan in Lesce before continuing to the Beekeeping Education Centre of Gorenjska where you can buy and try a wide variety of honey and honey products. 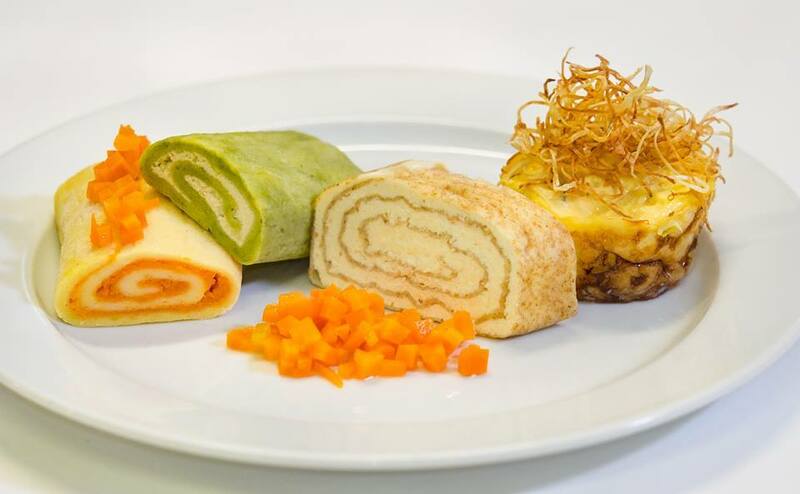 The icing on the cake of this ‘sweet’ tour is a visit to the finest of Taste Radol’ca restaurants and indeed one of the finest in the country – Vila Podvin – which was recently among the winners of Slovenia’s top restaurants, where you can try head chef Uroš Štefelin’s signature sweet sensation! 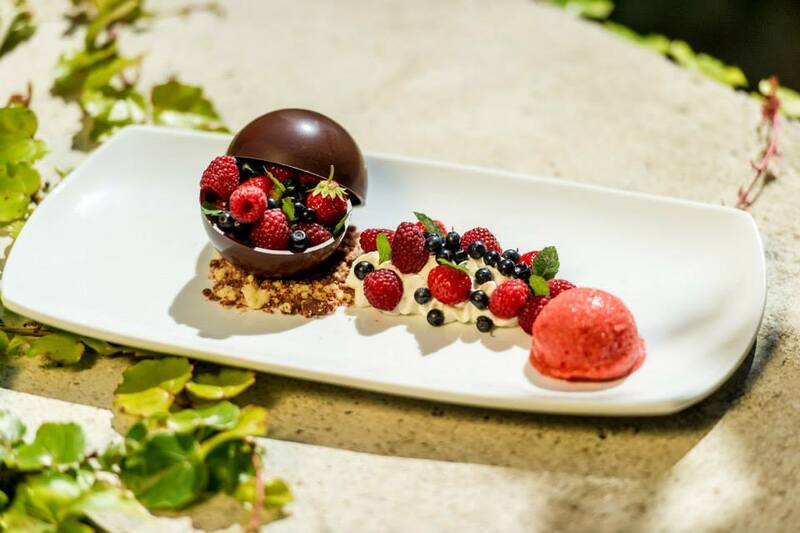 A sweet sensation at Vila Podvin! The minimum number of participants per tour is 2. All tours lasts approximately 2 hours, unless otherwise stated. Tours are not available on Sundays or public holidays. Tours are also suitable for children (except the Wine Lovers’ Tour!). Please ensure you alert us in advance regarding any food allergies or special requests. Payment is by wire transfer or PayPal only (5% additional fee for PayPal transactions). All prices include 22% VAT. Note: Due to weddings or other private events, certain restaurants may be unavailable at certain times. At such times, tours will be suitably adapted. Use the contact form below for bookings and enquiries and we will respond to your enquiry asap. Please type in the comments box your preferred date, time, and any special dietary requirements.